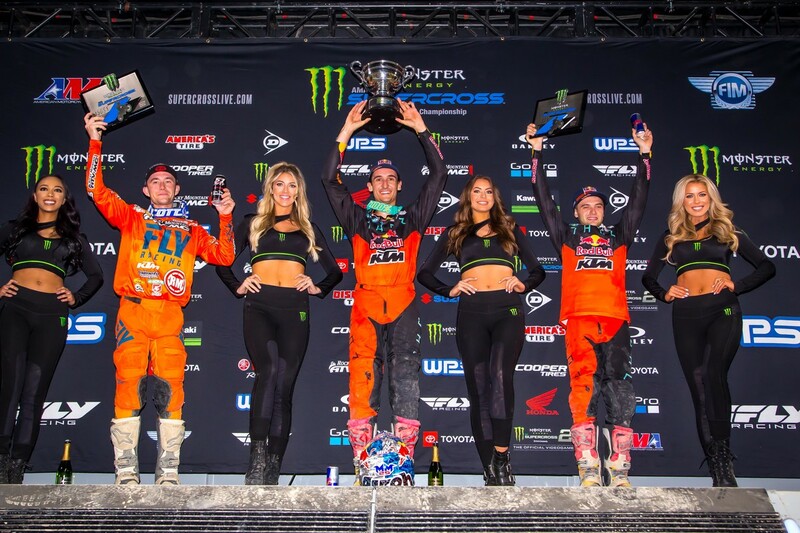 Round 11 of the 2019 Monster Energy Supercross, an FIM World Championship series, and round 6 of the Eastern Regional 250SX Championship and the Indianapolis SX saw the third 450SX KTM podium sweep of 2019, and Monster Energy / Pro Circuit / Kawasaki’s Austin Forkner continued his dominance of the 250SX East class. 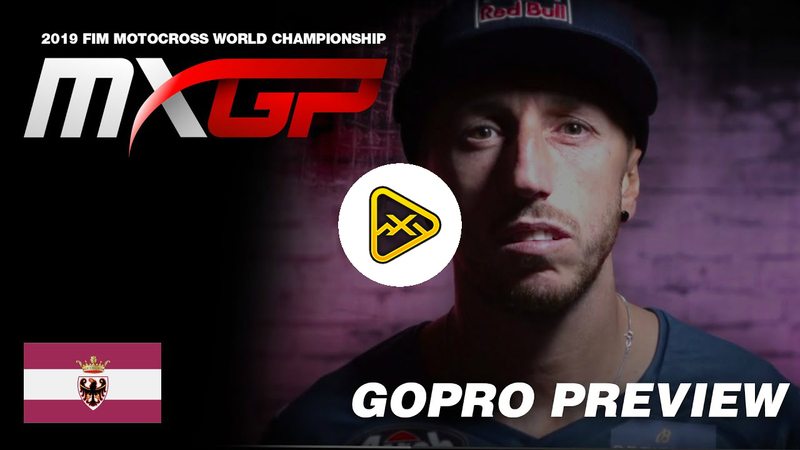 In the 450SX class, Red Bull / KTM’s Marvin Musquin scored his first 450SX main event win of 2019. 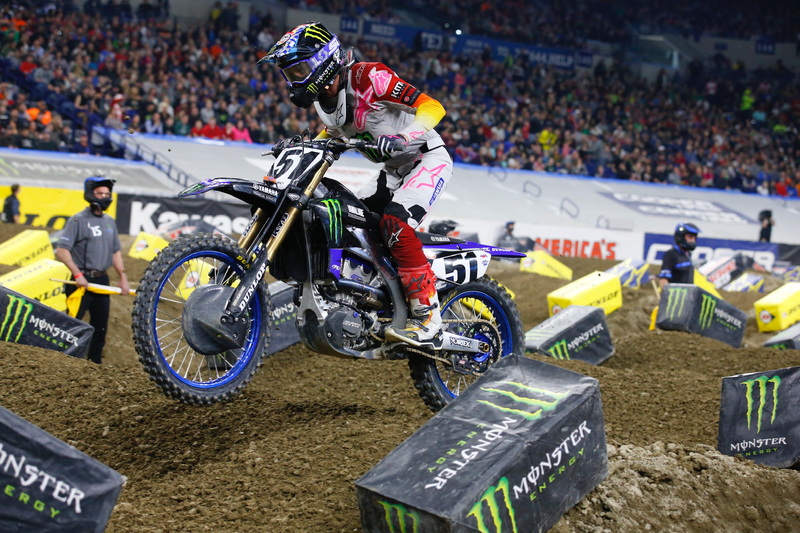 The #25 was followed over the finish line by Rocky Mountain / ATV/MC / WPS / KTM’s Blake Baggett in 2nd and the other Red Bull / KTM rider, Cooper Webb, in 3rd. 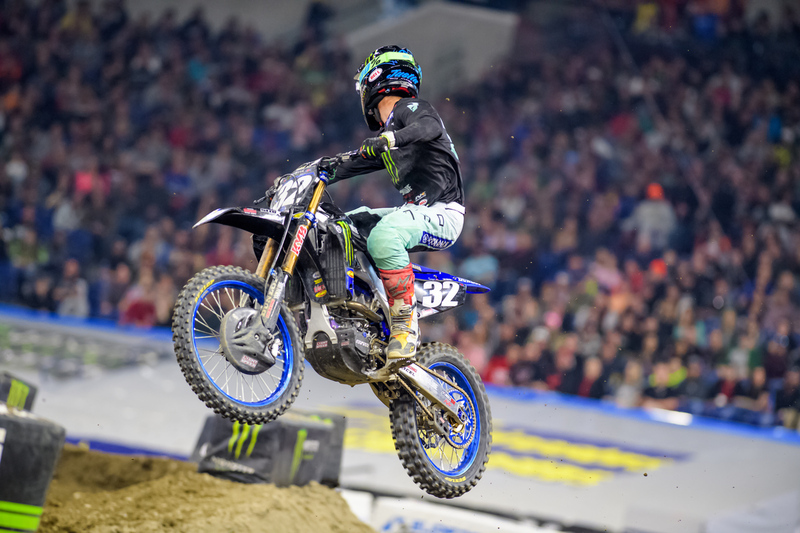 In the 250SX main event, Forkner was joined on the podium by GEICO / Honda’s Chase Sexton in 2nd and Monster Energy / Yamaha’s Justin Cooper in 3rd. 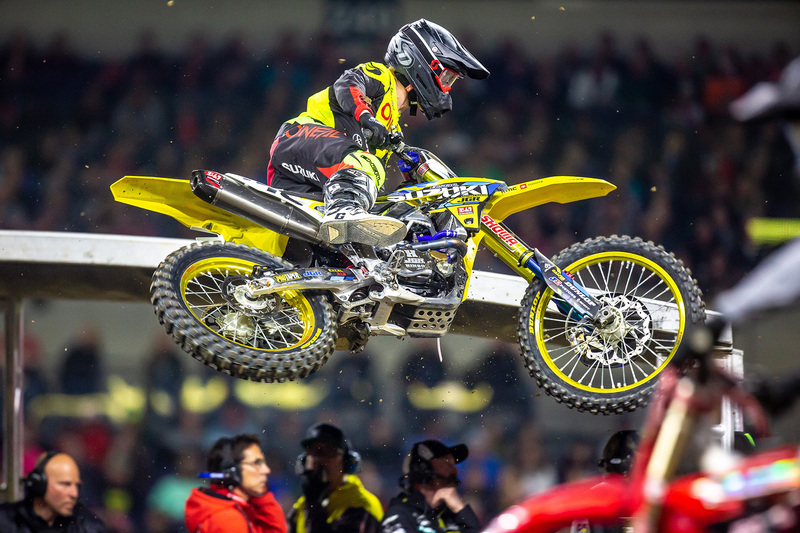 After the 11th round was in the books, we gathered quotes from the riders to find out how their 2019 Indianapolis SX went for them. 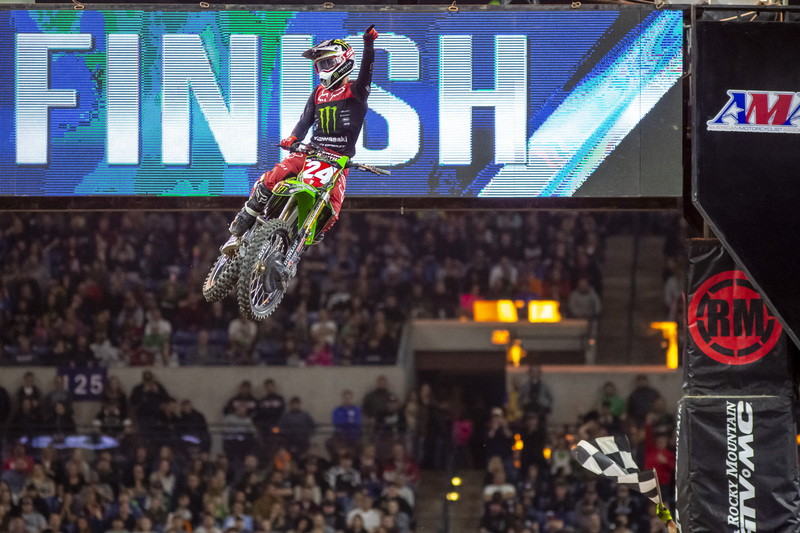 Austin Forkner: (1st in 250SX) “Yeah, I extended my points lead to 26. That’s a full race point lead now. It obviously doesn’t really change anything. Still the end goal is to get the championship and keep winning races. That’s my fifth win. That is the most races I’ve ever won in a year. I’m stoked about that. I’m stoked with meeting some of the goals that I wrote down at the beginning of the year. My trainer told me to write down my goals for this year like how many races I expected to win and how many times I want to be on the podium. Obviously, I expected a championship and just what I wanted to accomplish this year. I feel like I’ve definitely already exceeded kind of those goals. I just need to keep it going to get that championship ’cause that’s the important one. 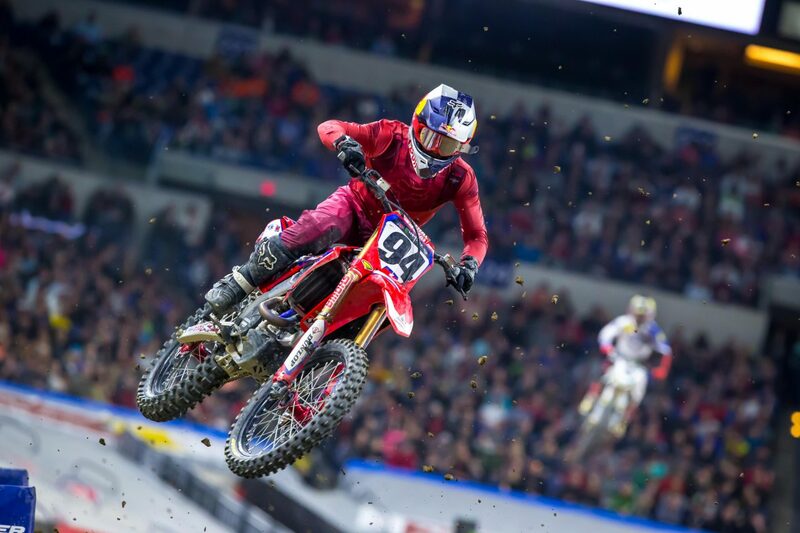 Ken Roczen has been a non factor at the front since his narrow loss to Cooper Webb. 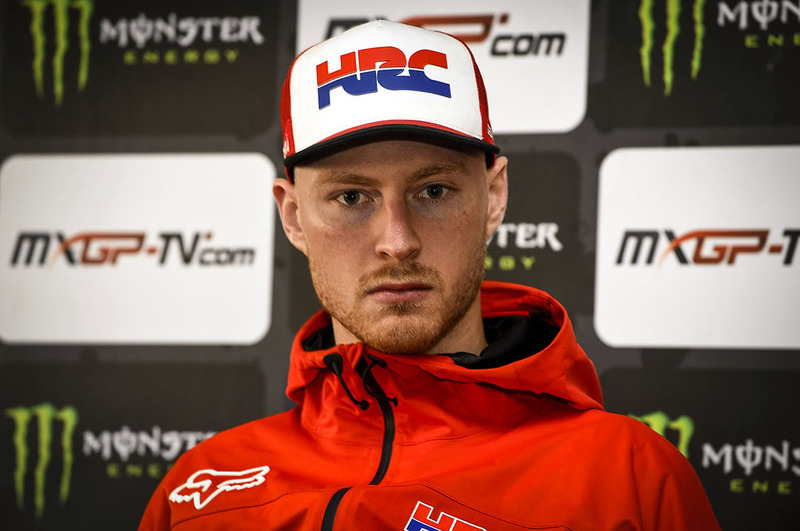 We are still waiting on a breakout performance on the 450 from Hill.